If you haven't seen the first post about the Marathon, you can read about it here. This is another set of 4 cards. The first two pictured are made using the Afternoon Picnic colourway and the last two use Tea for Two. I stamped a retired stamp called Love is Kindness and after stamping on watercolour paper using StazOn Ink, I used the Inktense pencils and the aquapainter. 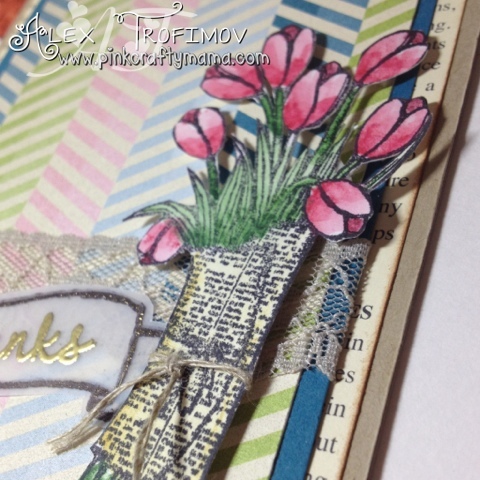 I used the linen thread to tie around the bunch of tulips at about the same spot as the printed twine was. 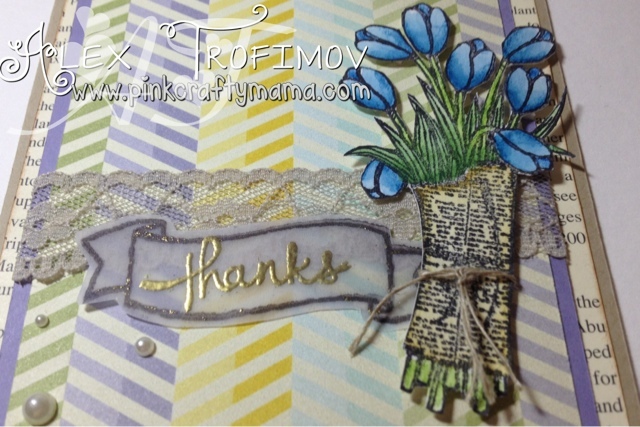 I added some layers and lace wrapped around the first 2 layers and stamped the banner (from the Endless Thanks stamp set) on vellum in StazOn before heat embossing the sentiment from the same set in gold. 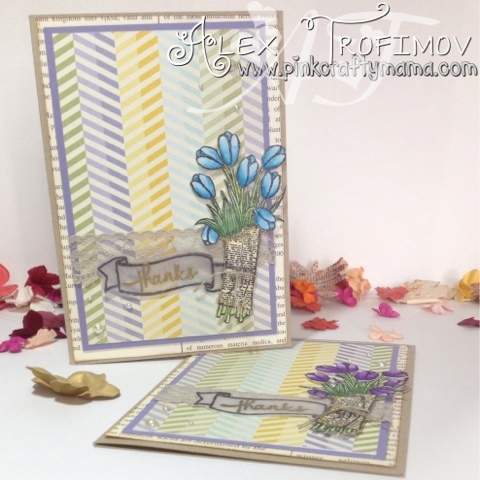 Despite using the embossing buddy, some grains got on the black border, but I actually liked the way it looked. The banner needed to be fussy cut since there isn't a matching die and a few pearls provided the finishing touch. Thanks for stopping by and hope you visit again and read about some of the other cards from this set.